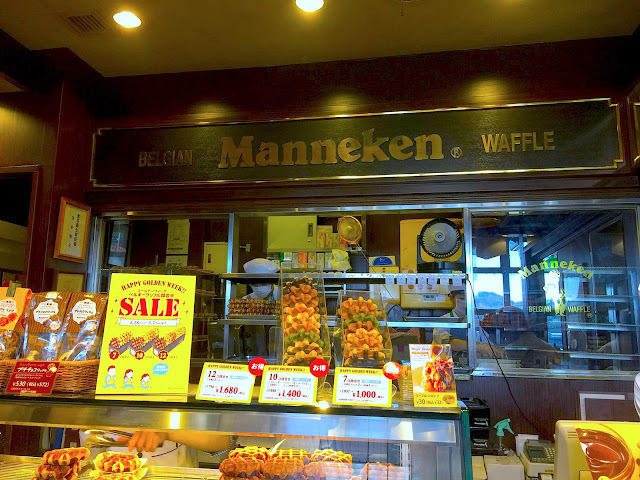 Home / best belgian waffles japan / mannekan belgian waffles / mannekan waffle osaka / mannekan waffle shinjuku / mannekan waffle singapore review / what to eat in japan / Japan's Mannekan Belgian Waffles is famous among travellers. 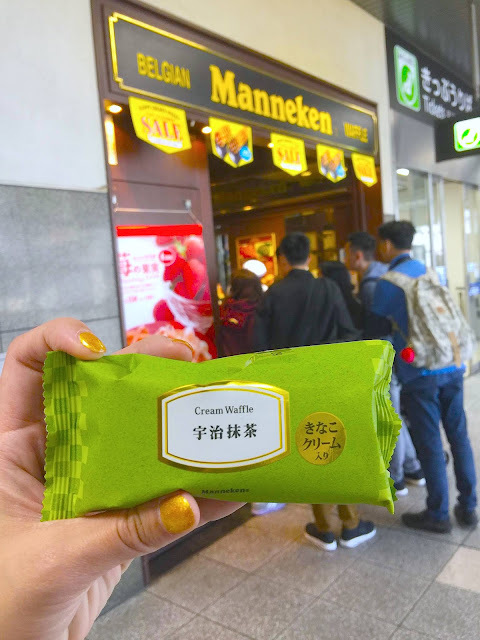 Japan's Mannekan Belgian Waffles is famous among travellers. Since 1986, Manneken has been serving palm-sized Belgian waffles to travelers. These waffles are small enough to get more than one and they sell seven different varieties at any given time. With 18 stores in the Kansai area alone, you can always smell fresh waffles as you travel around the region in Japan. Mannekan is extremely popular among Kansai people as most of the stores are located nearby or within the JR train stations. You can have them conveniently as you make your way to other places. We first spotted Mannekan by its aromatic fragrance of fresh waffles. Don't miss the Osaka Amazing Pass or Kansai Wide Area Pass at a discount here! My friend, Joyce, thought I was crazy for buying the cream waffles. The reason was this: Everyone else was buying the fresh waffles without packaging! However I didn't regret my purchase because the cream waffle was moist, light and really refreshing. It came delightfully cold and apparently, these are made fresh in-store as well! Prior to purchase, you can actually visit Mannekan's menu on their website for the full list and prices of of Baked waffles, cream waffles as well as gift sets. I absolutely love how they are able to standardise their prices countrywide— and this also means that the quality of the waffles would be identical regardless of the store you visit! 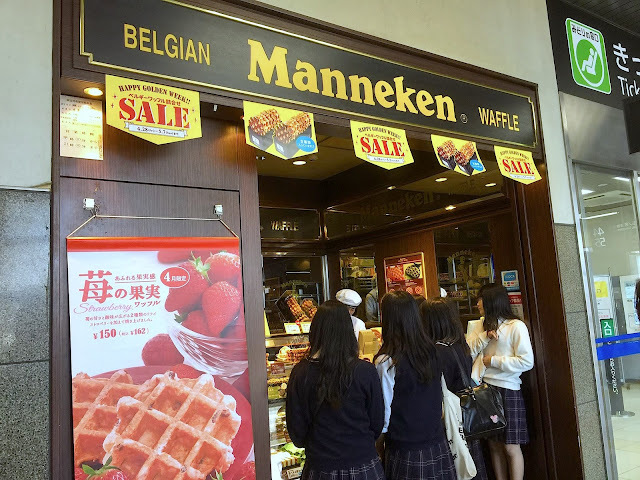 If you're rushing for time in Japan, why not grab a Mannekan Belgian Waffle like what a true Japanese would do? Believe it or not, the reviews of Mannekan's in tripadvisor are mainly written in Japanese... which means, it is truly popular among the citizens of Japan.